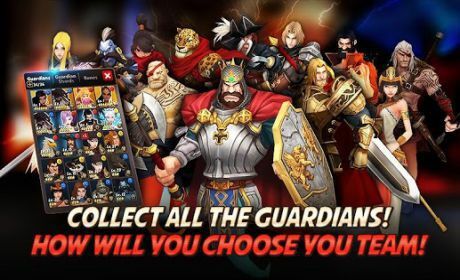 Collect over 65 unique Guardians and join the epic mobile battle. Team up with wonderful Guardians and fight against orcs, titans, and dragons! Journey into a vast fantasy world and discover the mysterious Guardian Stones! • Fight intense battles and unleash fierce powers with dozens of unique powers for each Guardian on your team! • Exciting turn-based battle system with simple touch control. Just tap to fire off the fireballs or swing your axe. • Highly polished 3D animation in the palm of your hand. • Explore dozens of beautiful worlds and meet countless cute characters. • Enjoy the power of Runes as they empower your Guardians with major bonuses to stats and abilities. • Choose your party of Stellar, Lunar, or Solar Guardians. Find the party for better, stronger, and faster Guardian tactics. • The Archer – Rain the arrows down on them or put one right between the dragon’s eyes! • The Mage – Wield the power of the arcane and wreak wondrous havoc on the goblins! • The Warrior – Satisfy the bloodlust of this barbarian by charging blindly into combat! • Over 65 different Guardians to bring to the fight. 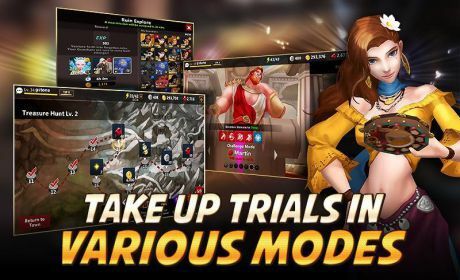 • Defeat hundreds of enemy monsters. Learn their tactics and take them down! • Play your way! Choose your powers and abilities, and match them to your Guardians’ strengths. • Defeat Raid Boss Monsters or face off against Champion Guardians to receive a rare reward. COMPETE IN THE PVP LEAGUE! • Battle it out in the Brawler’s Tavern with thousands of other players. • Build your skill tree to receive awesome destructive powers! • Log in daily for compiling rewards and bonus gear! 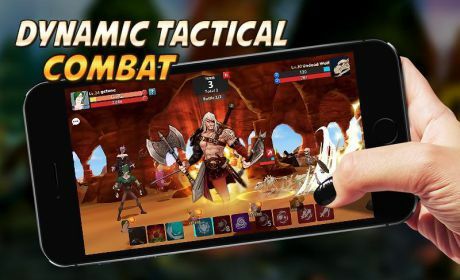 • Invite your friends for instant allies in the battle against the Chaos Dragons! • Earn more experience points and gold by engaging daily dungeon events. • Don’t miss out on the unique dungeons and the big rewards from taking out the Raid Boss!